Mumbai, October 14th, 2016: e-xpress Interactive Software Pvt Ltd, the leading games distributor in India announced today, that Ubisoft’sFor Honor will be playable at IGX on 15th & 16th October 2016, at World Trade Centre in Mumbai. 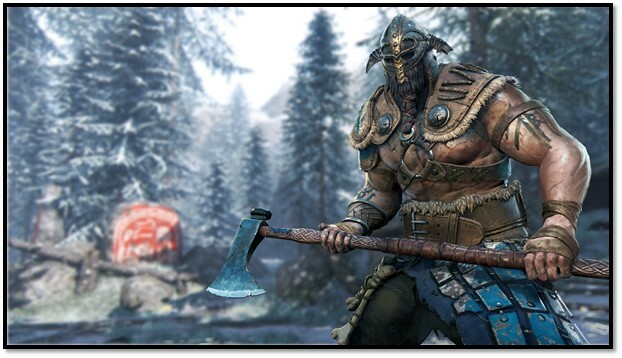 Visitors at IGX will have the first opportunity to play the upcoming action game For Honor months before its February 2017 release. For Honor will be playable at e-xpress Interactive’s stall no. 4 & 5 at IGX, where attendees can take on their friends in the game’s visceral one-on-one combat. Players will get their chance to embody skilled and deadly elite warriors from the Knight, Viking and Samurai factions. For Honor is Ubisoft’s latest new IP, mixing skill, strategy and team play with visceral, melee combat. Developed by Ubisoft Montreal, the game drops gamers into the chaos of a raging battlefield during an ongoing war between three Great Factions: the bold Knights, the brutal Vikings and the enigmatic Samurai. “This year at IGX, we are excited to showcase Ubisoft’s For Honor to the consumers before its release on 14th February 2017. The game has received a very positive response worldwide and we are glad that Indian fans will also get a chance to have a hands-on experience of the game at our booth at IGX ,” said Anand Khemani, CEO, e-xpress Interactive Software Pvt Ltd.
For Honor includes both a thrilling multiplayer and an engaging, single-player campaign, letting players conquer their foes alone or with friends. Tense gameplay mixes the skill and ruthlessness of a shooter with the quick, heat of the battle decision-making of team-based tactical games.